Grammar Nazi?!. i luv jsten bobir! D:. Wallpaper and background images in the fanpop FAIL! club tagged: fail facepalm. I hate it when so-called "fans" can't even write their idol's name properly. 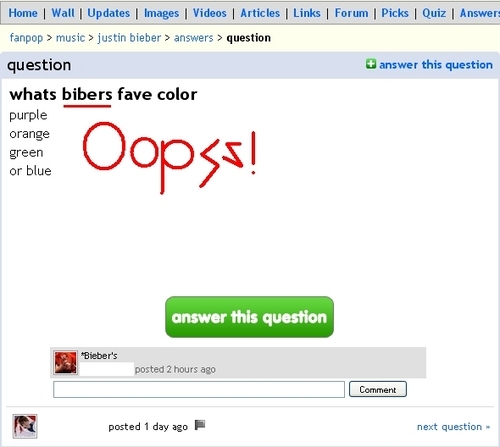 *facepalm*That's just an epic fail. ^ She can't spell her favorite idol's name well. This is an epic fail!